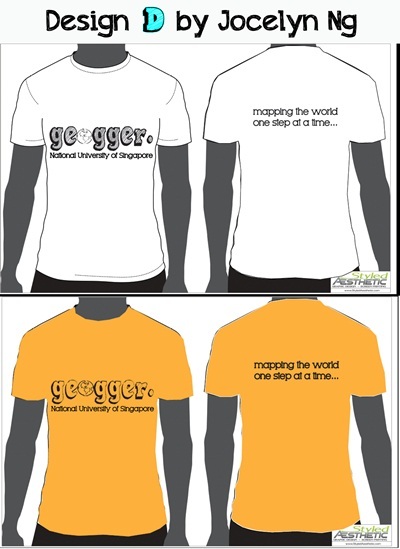 NUS Geog Soc: AY2012/2013 Majors' T-Shirt: Vote For Your Favorite Design Now! 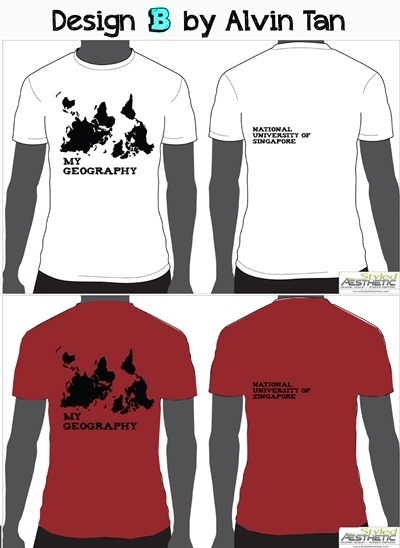 AY2012/2013 Majors' T-Shirt: Vote For Your Favorite Design Now! A big thank you to everyone who have submitted their designs! 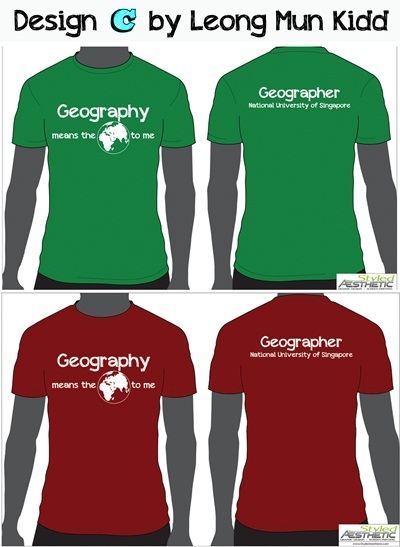 Due to the overwhelming number of designs received, we have shortlisted 5 designs for voting. The poll will close on the 7th of October, Sunday, 2359hrs and results will be announced on the 8th of October, Monday. Further details regarding order and payment for your new Major's Tee will be posted in due time. 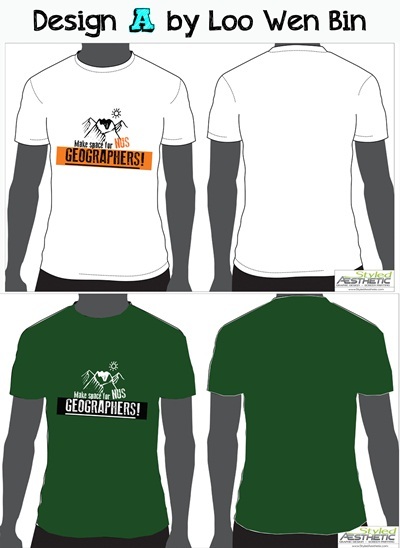 Front: Make space for NUS GEOGRAPHERS! 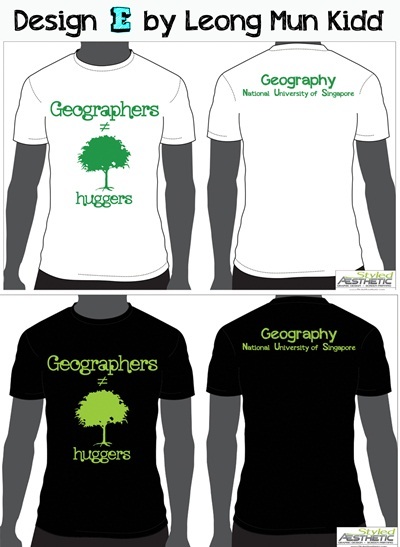 The final colour scheme(s) for the Majors' Tee is subject to change and will be decided by the designer.